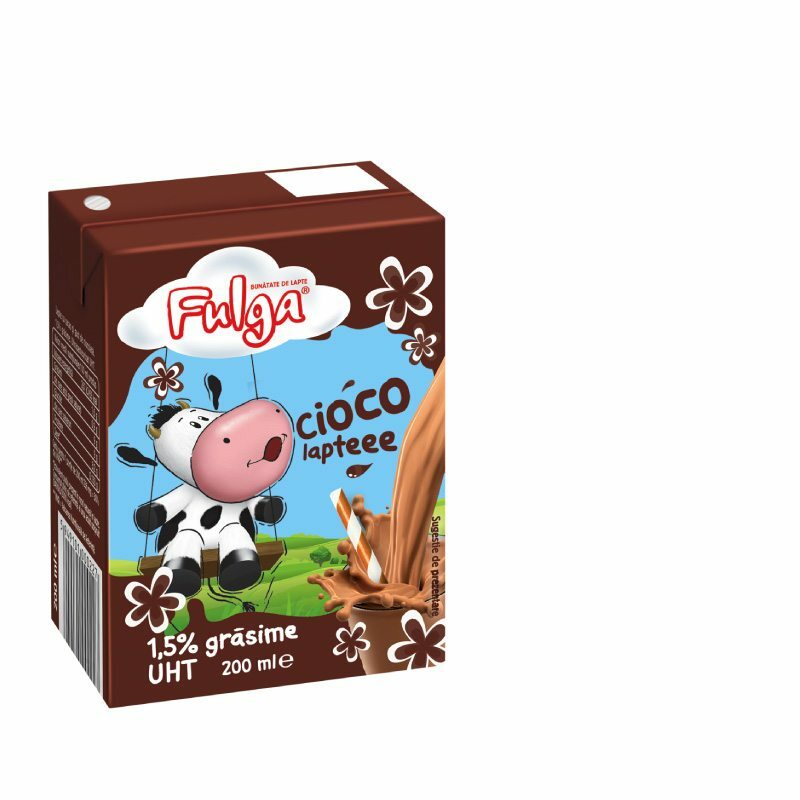 In a decade on presence on UHT milk market, Fulga has gained a huge image capital and became a symbol for children, the symbol of the witty, happy funny and fickle cow that has answers to all the questions and brings little one the good milk. Fulga has the merit of having contributed to the growth of the overall UHT category and enjoys the liking of its consumers thanks to the non-conventional communication. 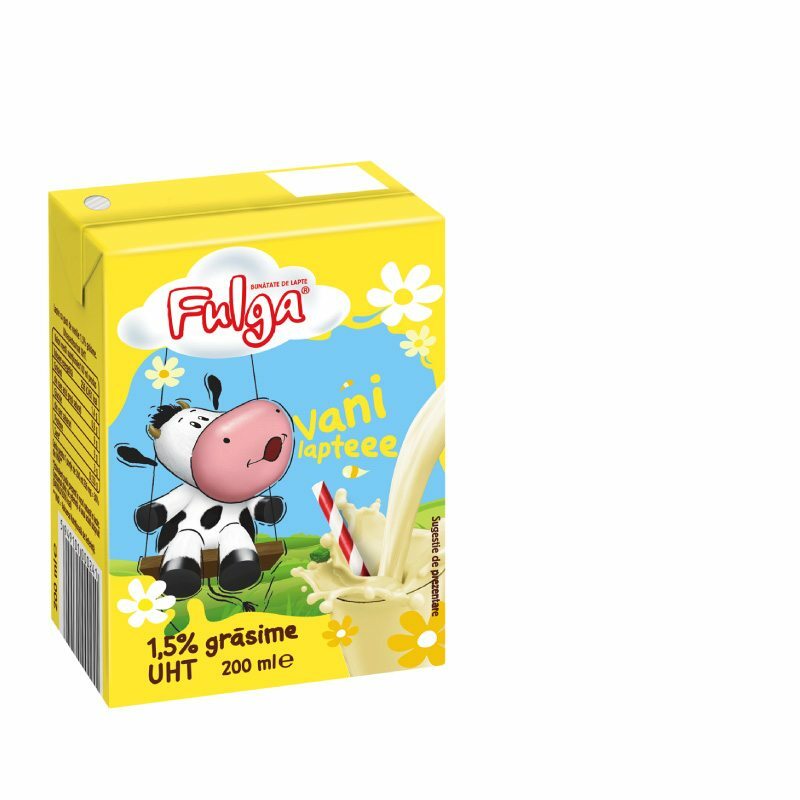 In 2014, Fulga decided to do even more for the future of its little consumers. Therefore, she came with “Recipes for good children”, a campaign with good milk and charmed recipes guiding parents through a beautiful rearing of their children. 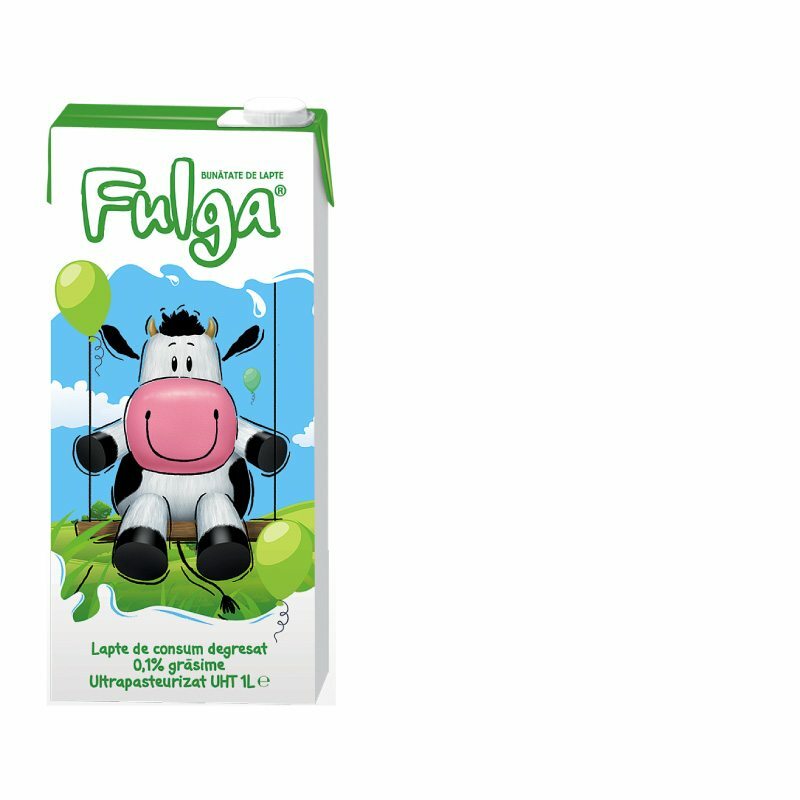 Because Fulga is not just a nice friend, but a model for children. 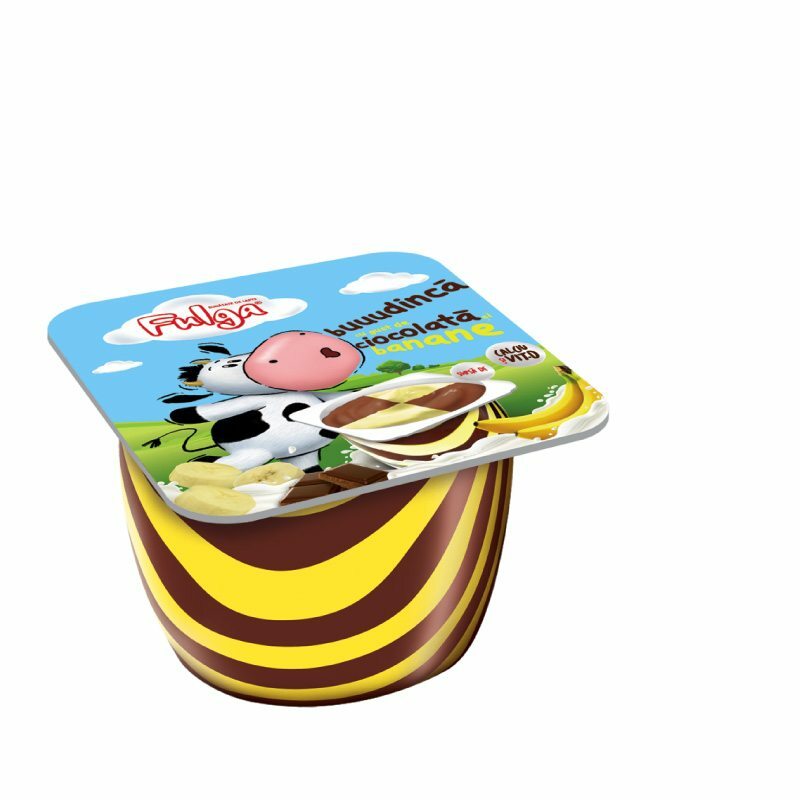 Fulga has prepared many recipes for good children so far, and the recipes written in its playful style cannot fail because they preserve two essential ingredients – milk and loads of love. 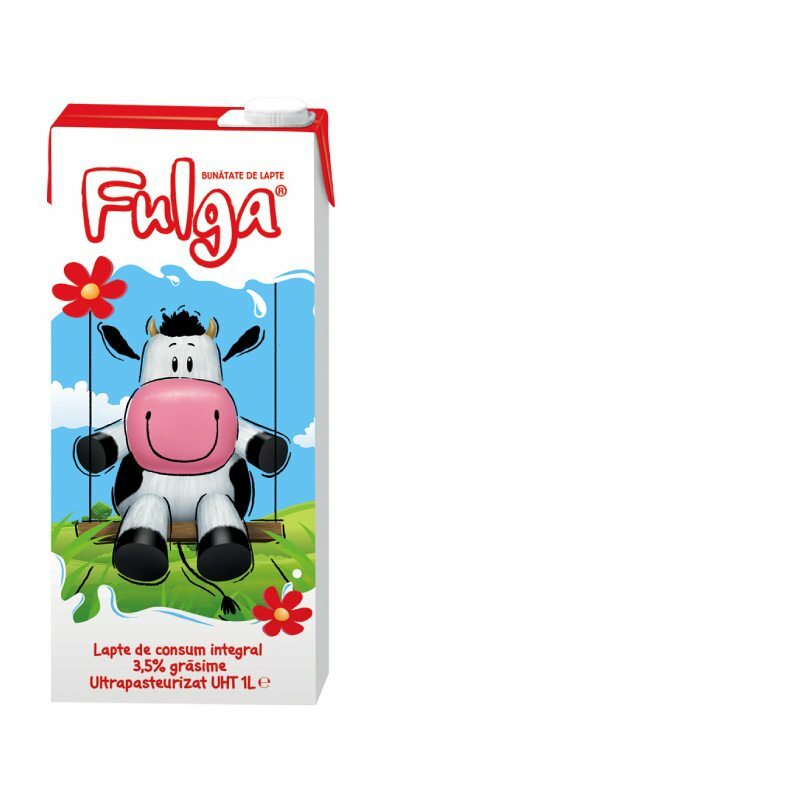 In 2017, Fulga came with even more magic and even better milk. 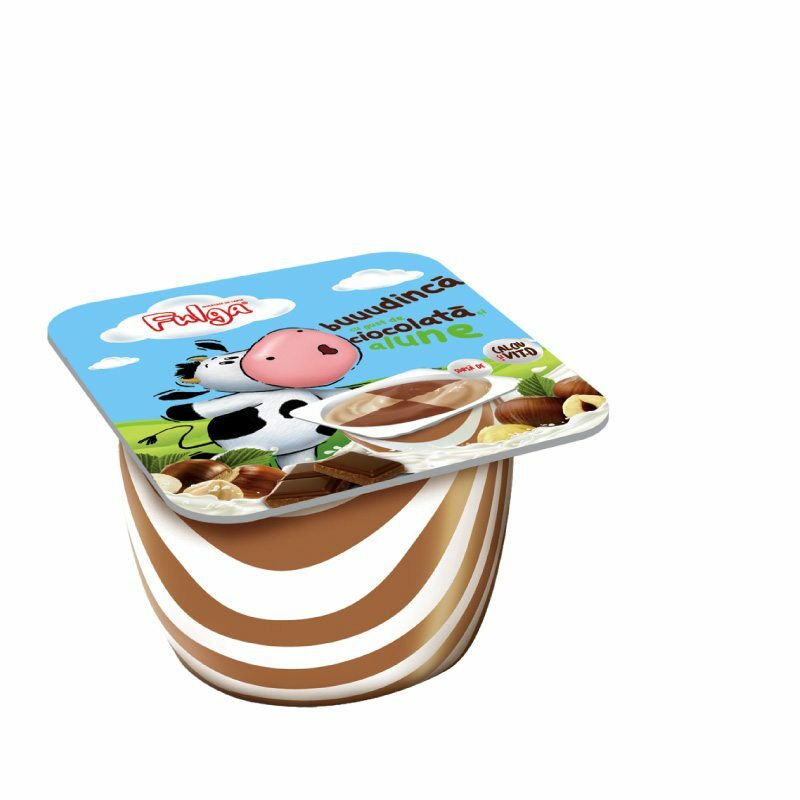 She bought kids delicious puddings with chocolate, hazelnut and banana and also bought sweet tasty milk, plain or with chocolate and vanilla. 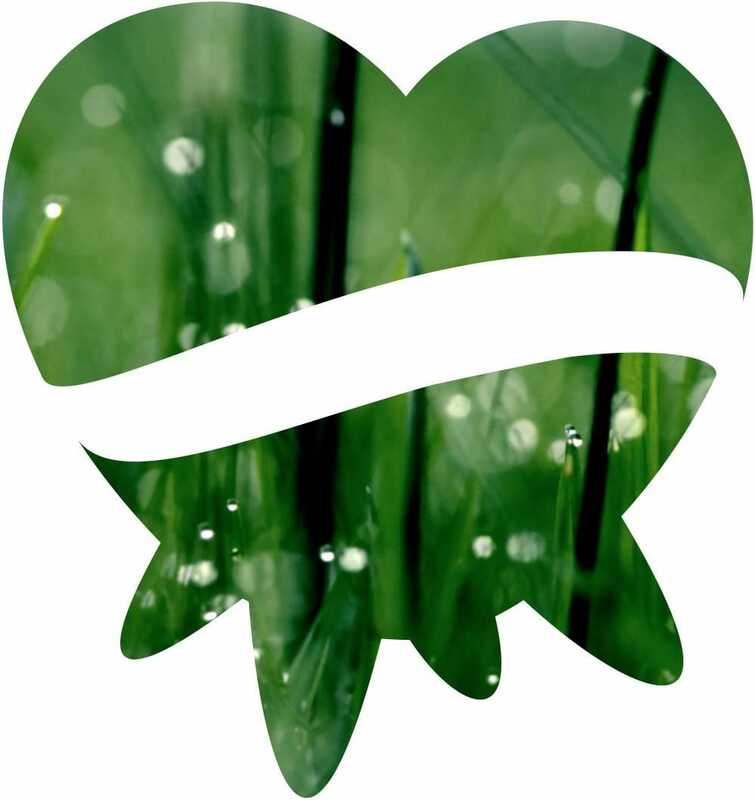 All Fulga products are rich in calcium and vitamin D, so that Fulga’s little friends can grow big, beautiful and, above all, smart. 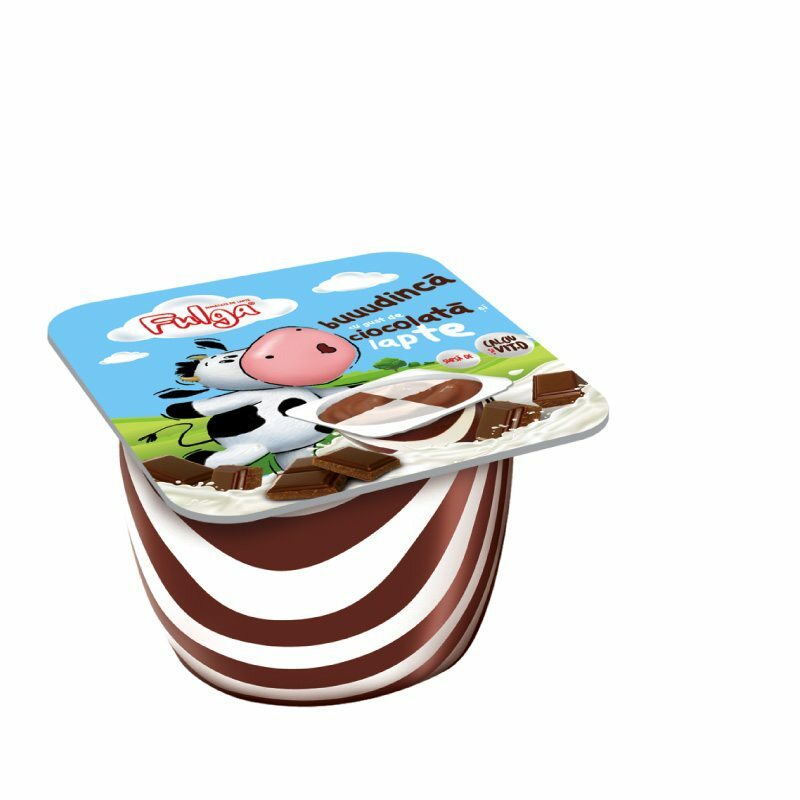 Ingredients: standardized, homogenized, ultra-pasteurized UHT semi-skimmed cow milk 1.5% fat, invert sugar syrup, flavour, colour: beta carotene, thickener: carrageenan.